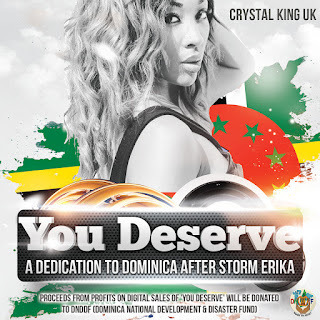 On Easter Sunday 2016 East London singer/songwriter Crystal King UK released the new music video for her heartfelt and self-penned song "You Deserve" a dedication to her country of origin Dominica, after the Caribbean island was hit by Tropical Storm Erika of August 2015. 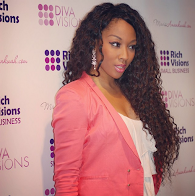 Within the piece, King characterises Dominica as a young child in need of love and repair with lyrics like: "...You Deserve more than you know... pretty girl so beautiful... I will give all that I can, to preserve all the beauty you hold within your hands..." with catchy hook "one step if you feel the love, two steps into the sun..."
Dean Paretta of 'Music Matters' wrote of the piece: "'You Deserve' undeniably exhibits King's most poignant and mature declaration as a songwriter, whilst seemingly underscoring an elegantly trademark vocal performance devoid of grandstanding"
Crystal King UK filmed the music video for "You Deserve" on 9th January 2016 in London and co-directed the video, shot by Samantha Soso of Supastarz TV. 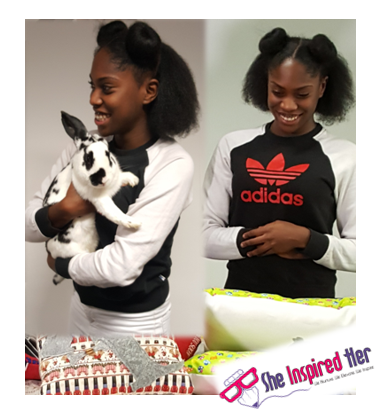 The video features a cameo apperance from X-Factor favourite Robert Allen aka Shylo soulstar and the voices and faces of local children, whom also accompanied King in Soho Recording studios to sing parts of the chorus. You Deserve is OUT NOW on I-Tunes and from all good on-line retailers! Please show your support by buying all versions today!